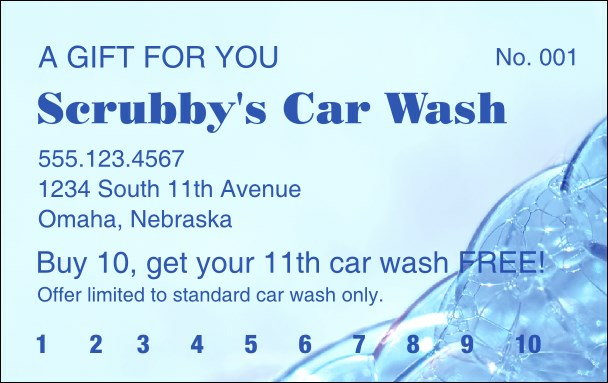 Clean up at the cash register with print-based publicity programs, like this Bubble Gift Card. For buy one get one free promotions or any other incentive you can dream up, finding the right product helps you drive new traffic to your business, while rewarding loyal returning customers. Filling in the easy template below gets you started on your way to more business! Make your business shine with one of TicketPrinting.com's sleek Gift Cards.